Get ready for hot summer vacay! We see a beautiful pastel blue double-breasted blouse teamed with a belted denim skirt and white slides. Love this combination! Do You have any thoughts about Summer Smart Casual: Pastel Blue Double Breasted Blouse And Belted Denim Skirt? 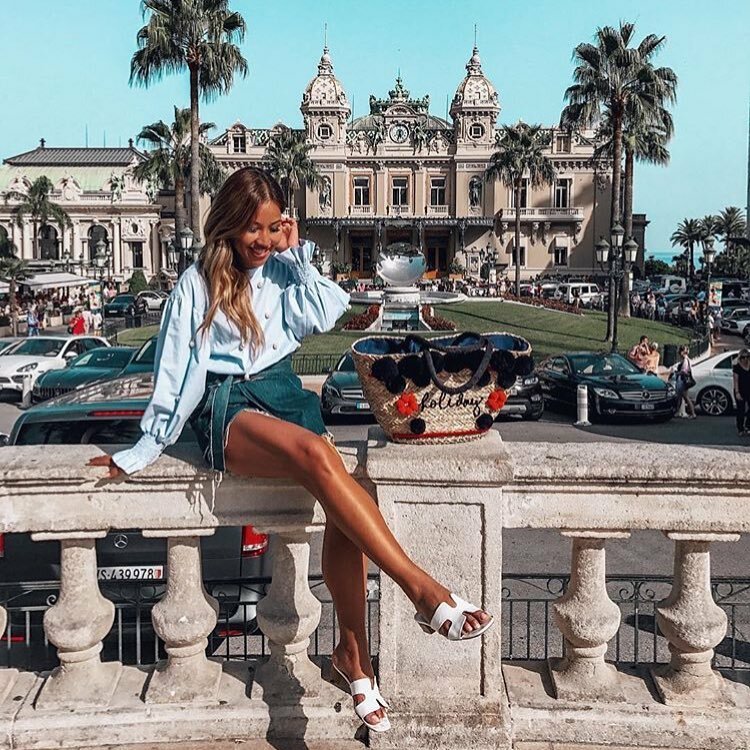 Here are Instagram Fashion pictures and trendy women’s outfits which are in style in 2019: Belted Skirts, Blouses, Denim, Denim Skirts, Double Breasted Blouses, Summer and tips on how to wear them on the streets.